It’s time to take electric motorbikes seriously. In 2016, Germany voted to ban the internal combustion engine by 2030, and the UK Government is under pressure to bring its ban on the sales of new petrol and diesel cars and vans forward from 2040 to 2032. This will then have a direct impact on the motorcycle market, too. Tesla have made huge steps towards bringing electric cars into the mainstream, even working to improve the infrastructure by installing fast-charge points at service stations. It doesn’t look like they have any interest in launching a motorbike anytime soon, but others are making serious progress and they’re getting pretty good. 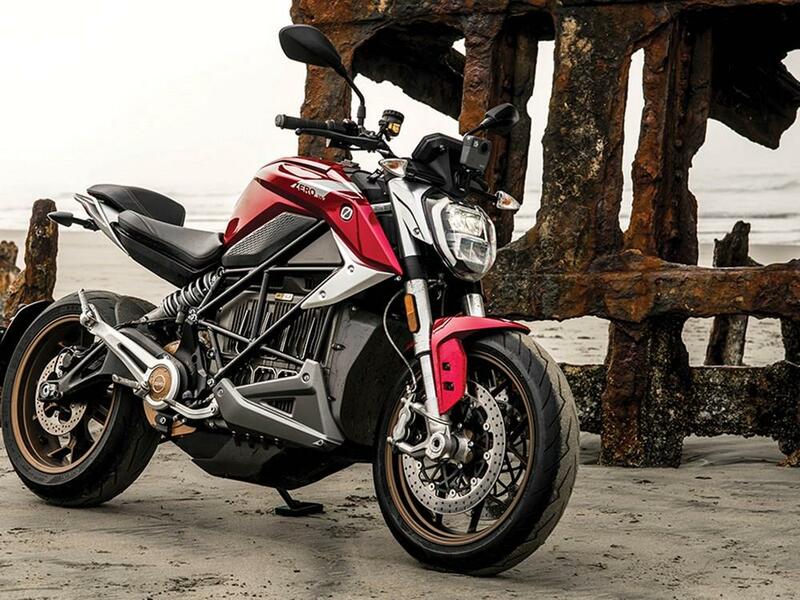 When launched in Amsterdam in February 2019, Zero claimed their SR/F streetfighter featured "industry-leading power, control and connection". We'll have to wait to ride it before making lofty claims like that, but on paper the 200-mile range, 110bhp and 226kg make it look like an attractive bet. The price, starting at £17,990 (before any Government grant is applied), could easily be a sticking point, however... Read more here. Think of Vespa and you probably think of classic scooters propelled by two-stroke engines. Back at the 2016 Milan Show Vespa announced their own electric scooter, bringing the historic Italian brand firmly into the 21st century. 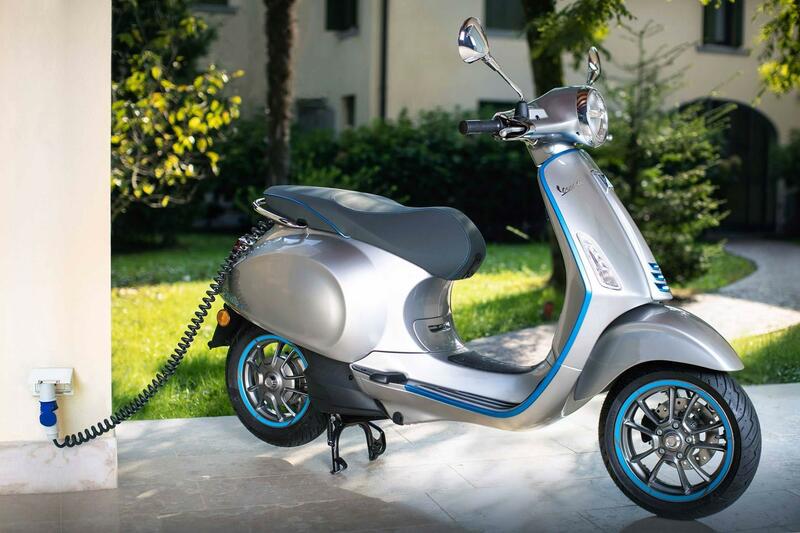 The Elettrica has a guaranteed range of 62 miles, which is more than enough in the city, and orders have started being taken on the Vespa website. Read more here. 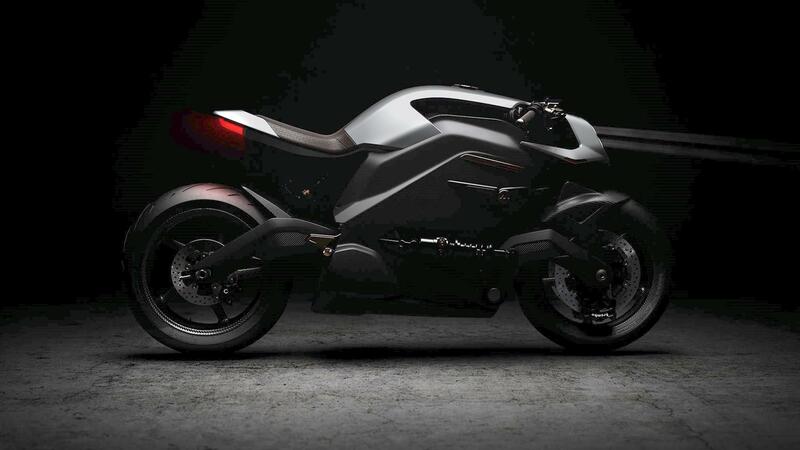 After years of talking and concepts and temptation, Harley-Davidson have started taking orders for their Livewire electric motorcycle. The bike features Showa shocks, a TFT dash with Bluetooth connectivity, and the option to fast charge the battery through the tank. The Livewire costs £28,995 and that price puts it in direct competition with the Energica Eva, although the Livewire certainly has more gadgets. Delivery is expected to be in the autumn of 2019 so you’ll have to wait that bit longer to get your hands on one. For 2017 we created an entire new category for the MCN Awards: Electric bike of the year. The Energica Ego took the first ever award after impressing us both on road and track, as well as around the TT course. The Ego is also the basis for the racers that will be used in the MotoE series, still making its debut in 2019 in spite of a huge fire that wiped out all of the teams' bikes. 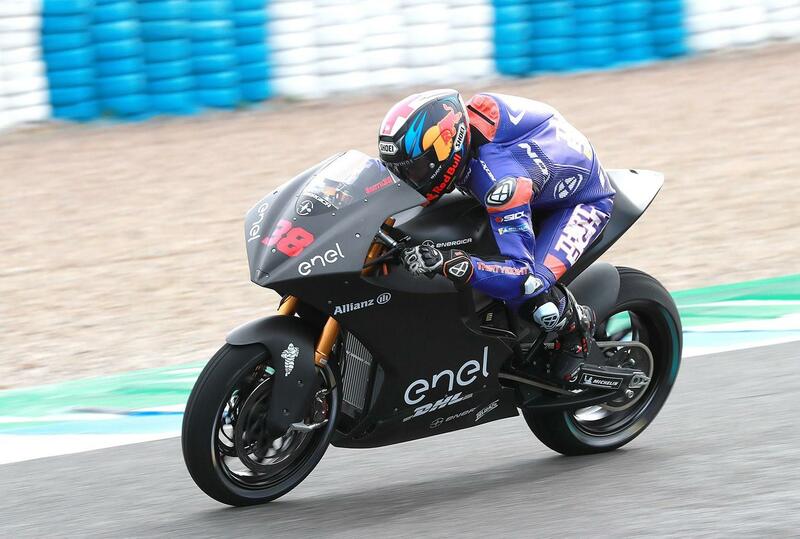 The electric class will see riders like Britain’s Bradley Smith battle with well-known names such as Randy Depuniet, Maria Herrera and Sete Gibernau. Read more here. 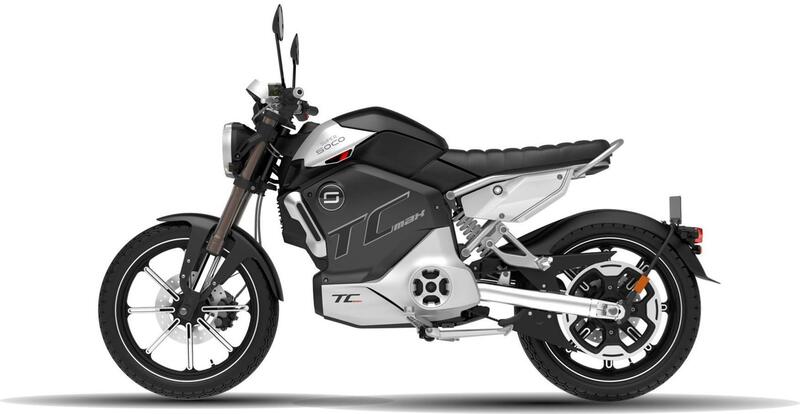 Worlds away from the likes of the Energica Ego and Harley-Davidson Livewire is the Super Soco TC-Max, which was one of two new Super Soco machines revealed to the UK at Motorcycle Live 2018. With a top speed of over 60mph and around 133ft-lb of torque (similar to the Energica above) the bike aims to rival the performance of a petrol four-stroke 125, whilst remaining more economical. With a planned price of just £3999, the removable, 72v and 45Ah lithium-ion battery fully charges in just four and half hours and offers a maximum range of around 80 miles. What’s more, there are also Brembo hydraulic brakes and a combined braking system to help it pass Euro4 legislation. The battery was developed in conjunction with Amperex Technology Limited (the company that supply Apple with batteries) and uses pouch cells to pack more energy into a smaller space. The Super-Soco TC-Max is available for special order from April 2019. Zero have announced an upgrade to the DSR model for 2019, but MCN ran the previous version as a long-term test bike in 2018 and it impressed from the word go – proving to be a capable machine on shorter spirited rides. For 2019, the DSR gets a host of upgrades, including a new ZF14.4 battery. 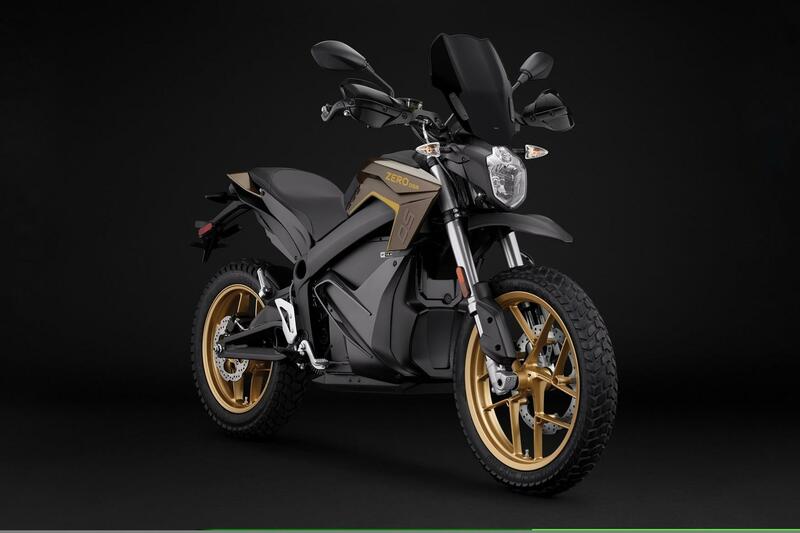 Zero have also attempted to create an adventure bike for the electric class in the form of the DSR Black Forest. It comes with luggage and a 163-mile range (at city speeds) as standard, but optional upgrades like a range extending battery (£3000) can improve this. Alternatively, a Charge Tank (£2300) will increase the charge-rate to 93 miles of range per hour of charge. Serious adventure touring on the DSR would be an expensive and impractical affair at the moment, but things are moving in the right direction. Electric bikes are only becoming better and more common, so it's no surprise that there's more to come in 2019, and beyond. The twist-and-go concept takes learnings from tuners Mugen and is based on a CRF250R crosser. 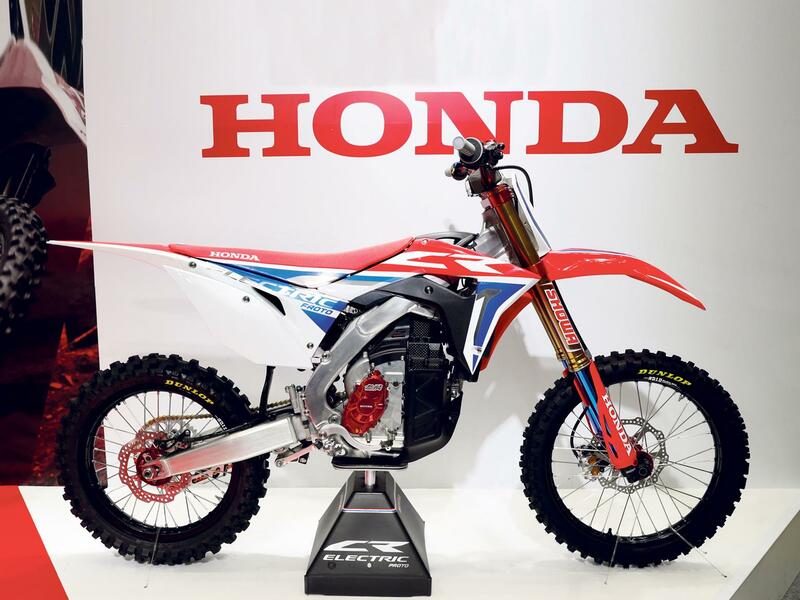 There's no word on a launch date or price, but this is very much a statement of intent from Honda. More details here. The Italian company states electric bikes are for the future rather than right now, but also that they’re working on a project to create the best one on sale. We’ve got no firm word on how this will manifest itself, but that’s pretty punchy talk… read more here. Lightning Strike - a £10k electric bike? 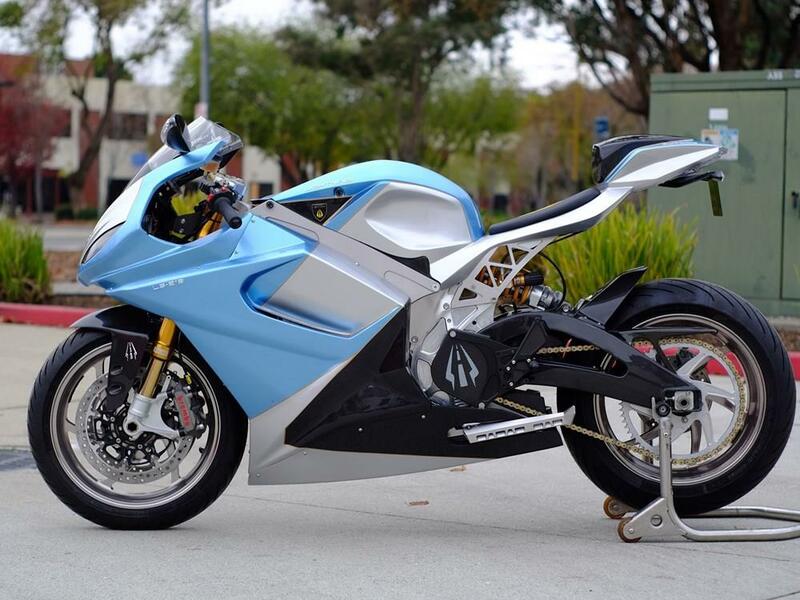 American electric superbike manufacturers, Lightning, have announced a new bike that could be the first truly affordable, useable electric motorcycle. Its list price in the US is $12,998 (roughly £9895) so if launched in Europe, it'll be the first £10k electric bike. Range is quoted as "70-100 miles" for the standard 10kWh version, while Strike Mid and Carbon Editions get 105-150 and 150-200 miles respectively thanks to their 15 and 20kWh batteries. Read our full dossier on the Lightning Strike here. 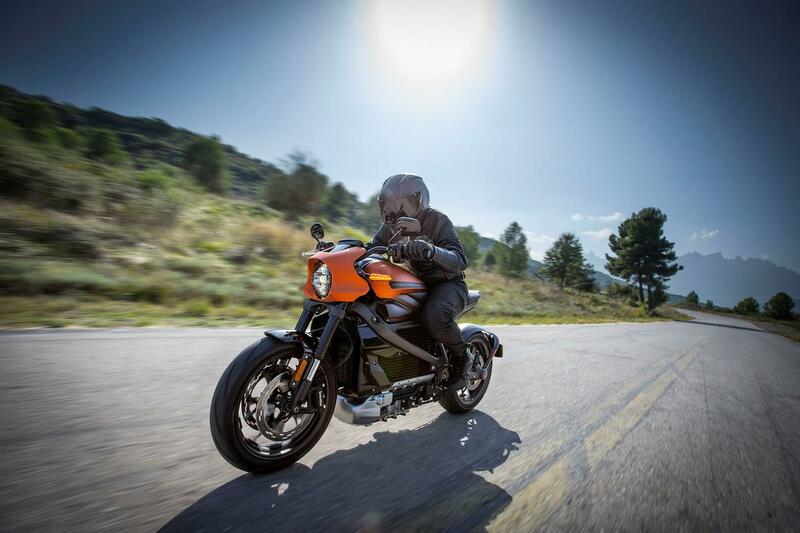 Jaguar Land Rover-backed firm, Arc unveiled their Vector project at Eicma, 2018, with a range of high-tech features including a helmet with heads-up display (that is also the key) and a jacket that warns you of impending danger using vibrations to “tap you on the shoulder”. All that tech is accompanied by a 133bhp motor with 292ftlb of torque, a claimed range of 362 miles, but the most astounding stat is the £90,000 price tag. Read more here. 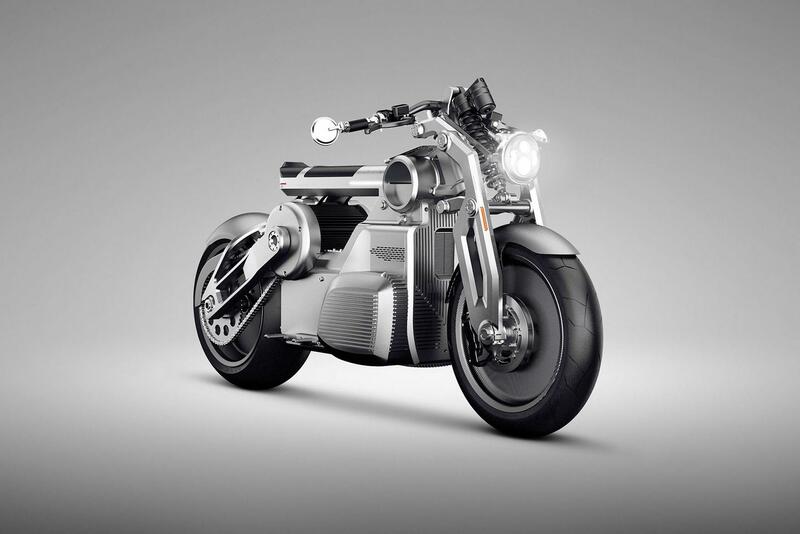 Despite only currently offering a 2163cc V-twin petrol bike for sale, Curtiss are an electric bike manufacturer. They have only released prototypes and concepts so far, including a café racer and bobber variant of their Zeus concept. Read more here. 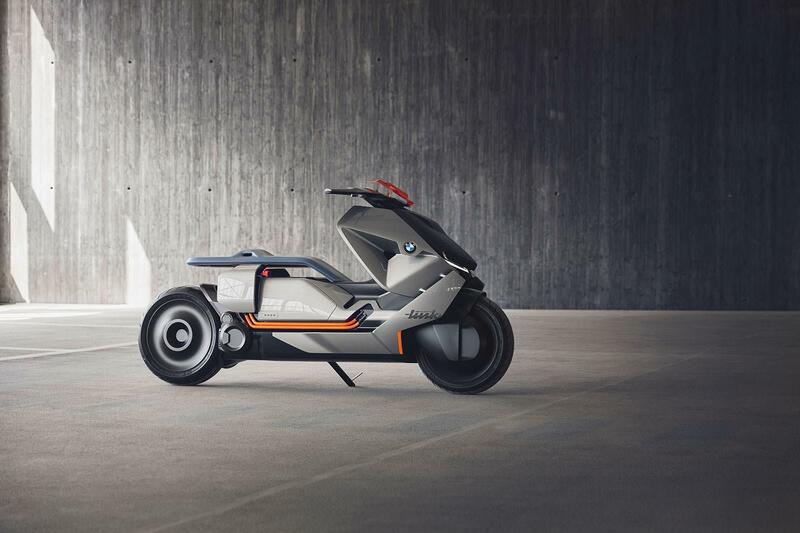 This isn't real, yet, but BMW already have an electric scooter in the C Evolution and something like the Concept Link (above) could be the next step. The interesting thing about the Concept Link is that it also acts as a communication device, connecting to your online accounts and calendar. Read more here. But what about electric motorcycles for kids? Alongside the growing advances in road-going electric machinery, firms are also keen to inject a passion for EVs into budding bikers of a much younger age group. 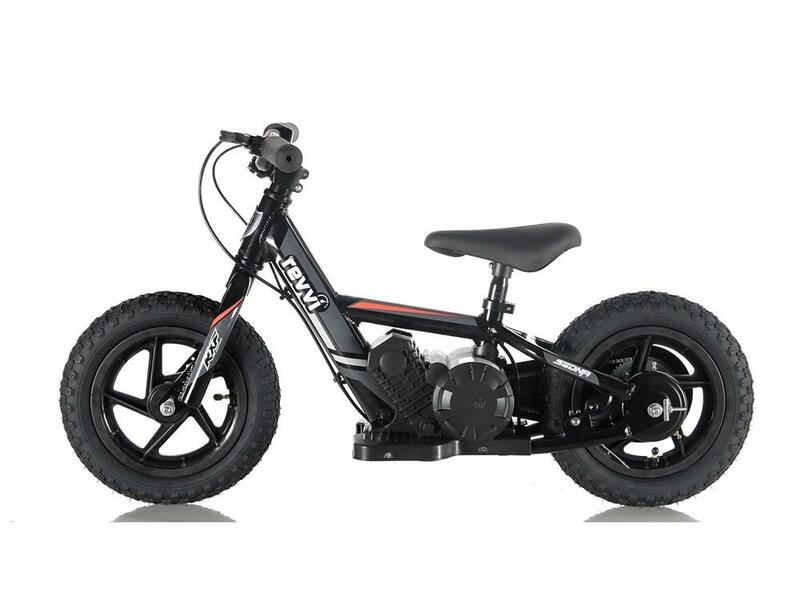 This includes the new-to-market Revvi Twelve" electric balance bike, which will be available in five colour options from late February to early March 2019. Starting at a base price of £299, the Revvi is designed for children from two to six years old and is powered by a 24V 100W electric brush motor. It is recommended that the bike is used without power input until the age of three, before progressing to the 5mph slow speed setting until four-years-old. Children aged between five and six are then advised to move on to the faster mode - taking the bike to 10mph with its twist and go transmission.